The National American Arab Journalists Association (NAAJA), founded in 1999, held its sixth annual national conference in Dearborn, MI, April 29 to May 1, at the Hyatt Regency Hotel. Dearborn Mayor Jack O’Reilly spoke forcefully about the racism of Rev. Terry Jones, who tried, and failed, to cause a riot in the city that week, and ridiculous claims by bigots that Dearborn is the center of “Shariah Law.” Wayne County Executive Robert Ficano and Reps. John Conyers Jr. (D-MI) and John Dingell (D-MI) also spoke at the banquet. Lawrence Pintak, author of The New Arab Journalist, Mohamed Abdel Dayem, Middle East and North Africa program coordinator for the Committee to Protect Journalists, and Washington-based columnist/writer George Hishmeh provided stirring keynote speeches. The conference brought together journalists who work in both ethnic Arab media and the mainstream press, as well as journalists representing the Arab world media who work in Washington, DC and New York. Nearly 120 students, many of them future journalists, attended panel discussions that addressed the challenges facing the nation’s American-Arab and Muslim community in the decade since the 9/11 terrorist attacks. NAAJA national coordinator Ray Hanania, an award-winning journalist and columnist for Creators Syndicate, and Laila Alhusinni, the indefatigable conference coordinator, are co-hosts of the weekly morning radio show “Radio Baladi.” They carefully selected panel discussions that could help strengthen the role of journalists working to educate the American public. One panel addressed the growing challenges facing American Arabs in journalism, reviewing the assaults on Octavia Nasr, the senior CNN editor of Mideast affairs who was fired after saying she respected Lebanese cleric Mohammad Hussein Fadlallah, and White House correspondent Helen Thomas, who was forced to retire after her comments about the Israel/Palestinian conflict. Other panels discussed the controversy surrounding the release of the movie “Miral,” and ways to confront and change anti-Arab bias through journalism advocacy, new media, and old-fashioned, grassroots organization. A lively discussion explored U.S. policy in the Middle East with the State Department’s Near East Affairs director of public diplomacy, Phil Frayne. Audience members criticized the response of the Obama administration to pro-democracy protests. Hishmeh, Mansour Tadro, co-publisher of the Chicago-based newspaper Al Mustqbal (The Future), and this writer discussed how mainstream and ethnic media cover U.S. foreign policy. NAAJA awarded scholarships to three high school winners of a writing contest. First-prize winner Batoul Baidoun wrote a hard-hitting article about Ahmed and Rehab Amer, who lost their two children to the foster care system after being charged with carelessness in the death of their 2-year-old son in a bathtub accident. After Rehab’s brother was denied the chance to be a foster parent, in 1985, the Amer’s other children—including their newborn—were sent to live with a Christian family, who changed their names and raised them with an anti-Muslim bias. There was no media or public outcry. It took 18 painful years for the Amers to be acquitted of the accident that snatched away the life of one child as well as their relationships with their other children. The Amers fought to pass a law that gives relatives primary consideration when the state is placing children in foster care. Speakers and questioners on numerous panels shared stories that never make it into the mainstream press. 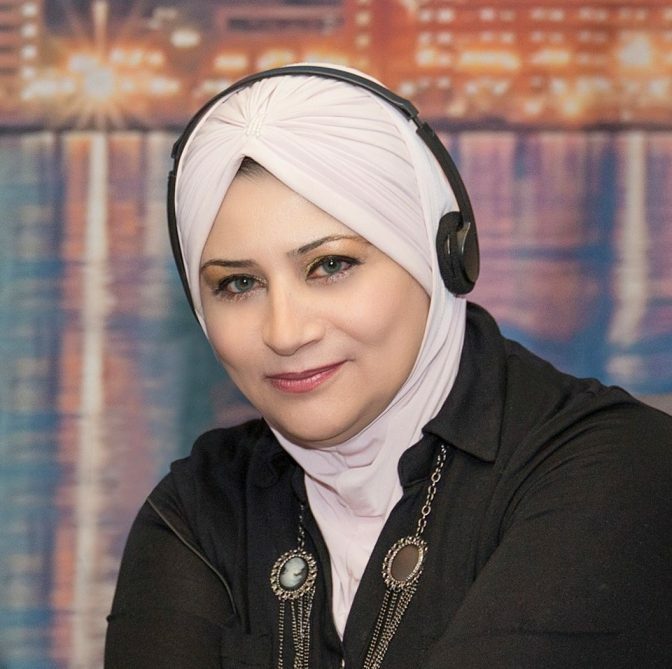 Panelists urged listeners to flood the blogosphere, radio and TV stations and every newsroom with seldom-heard but vital Arab-American and Muslim voices. This writer, and the Washington Report on Middle East Affairs, which “offers news and facts that are often intentionally excluded” from the mainstream media, received NAAJA’s 2011 excellence in journalism award. 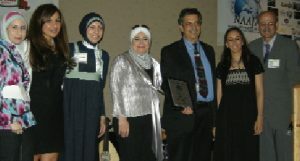 In accepting the award, I called for an Arab-American spring in journalism. Judging from the powerful voices I heard at the conference, this media revolution is already under way. This entry was posted in History and tagged Arab journalists, Conference, Detroit, NAAJA. Bookmark the permalink.